TRADITIONAL BOOK PUBLISHERS might well worry that the rise of ebooks will make a dent in sales of paperbacks. Online store Amazon has announced that their sale of ebooks designed to be read on their Kindle reading device has now surpassed the sales of paperbooks on their website. However, it’s not quite a death knell. Amazon says paperback sales are also increasing. According to a release from their business wire, Amazon.com saw their first $10 billion net sales quarter (for the fourth quarter in 2010). A total of $12.95bn of sales were made in those final three months of last year. This represented a 36 point rise on the $9.52bn fourth quarter of 2009. 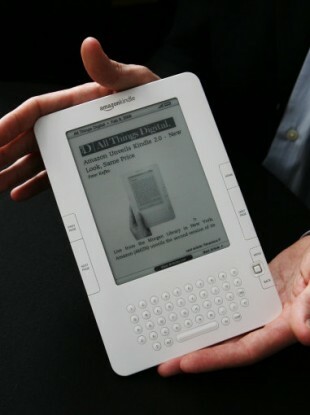 Additionally, during this same time period the company has sold three times as many Kindle books as hardcover books. The figures relate to the US book business and include those paper and hardback books where there is no Kindle version. It also excludes free Kindle books. Email “Kindle ebook sales now higher than paperbacks on Amazon”. Feedback on “Kindle ebook sales now higher than paperbacks on Amazon”.